Dias, C., Dietz, D., Mazei-Robison, M., Sun, H., Damez-Werno, D., Ferguson, D., Wilkinson, M., Magida, J., Gao, V., Neve, R. and Nestler, E. J. (2015). Dishevelled-2 regulates cocaine-induced structural plasticity and Rac1 activity in the nucleus accumbens. Neurosci Lett 598: 23-28. Dias, C., Feng, J., Sun, H., Shao, N. Y., Mazei-Robison, M. S., Damez-Werno, D., Scobie, K., Bagot, R., LaBonte, B., Ribeiro, E., Liu, X., Kennedy, P., Vialou, V., Ferguson, D., Pena, C., Calipari, E. S., Koo, J. W., Mouzon, E., Ghose, S., Tamminga, C., Neve, R., Shen, L. and Nestler, E. J. (2014). beta-catenin mediates stress resilience through Dicer1/microRNA regulation. Nature 516(7529): 51-55. Heller, E. A., Cates, H. M., Pena, C. J., Sun, H., Shao, N., Feng, J., Golden, S. A., Herman, J. P., Walsh, J. J., Mazei-Robison, M., Ferguson, D., Knight, S., Gerber, M. A., Nievera, C., Han, M. H., Russo, S. J., Tamminga, C. S., Neve, R. L., Shen, L., Zhang, H. S., Zhang, F. and Nestler, E. J. (2014). Locus-specific epigenetic remodeling controls addiction- and depression-related behaviors. Nat Neurosci 17(12): 1720-1727. Heller, E. A., Kaska, S., Fallon, B., Ferguson, D., Kennedy, P. J., Neve, R. L., Nestler, E. J. and Mazei-Robison, M. S. (2015). Morphine and cocaine increase serum- and glucocorticoid-inducible kinase 1 activity in the ventral tegmental area. J Neurochem 132(2): 243-253. Mazei-Robison, M. S., Appasani, R., Edwards, S., Wee, S., Taylor, S. R., Picciotto, M. R., Koob, G. F. and Nestler, E. J. (2014). Self-administration of ethanol, cocaine, or nicotine does not decrease the soma size of ventral tegmental area dopamine neurons. PLoS One 9(4): e95962. Vialou, V., Bagot, R. C., Cahill, M. E., Ferguson, D., Robison, A. J., Dietz, D. M., Fallon, B., Mazei-Robison, M., Ku, S. M., Harrigan, E., Winstanley, C. A., Joshi, T., Feng, J., Berton, O. and Nestler, E. J. (2014). Prefrontal cortical circuit for depression- and anxiety-related behaviors mediated by cholecystokinin: role of DeltaFosB. J Neurosci 34(11): 3878-3887. Der-Avakian, A., Mazei-Robison, M. S., Kesby, J. P., Nestler, E. J. and Markou, A. (2014). Enduring deficits in brain reward function after chronic social defeat in rats: susceptibility, resilience, and antidepressant response. Biol Psychiatry 76(7): 542-549. Walsh, J. J., Friedman, A. K., Sun, H., Heller, E. A., Ku, S. M., Juarez, B., Burnham, V. L., Mazei-Robison, M. S., Ferguson, D., Golden, S. A., Koo, J. W., Chaudhury, D., Christoffel, D. J., Pomeranz, L., Friedman, J. M., Russo, S. J., Nestler, E. J. and Han, M. H. (2014). Stress and CRF gate neural activation of BDNF in the mesolimbic reward pathway. Nat Neurosci 17(1): 27-29. Robison, A. J., Vialou, V., Sun, H. S., Labonte, B., Golden, S. A., Dias, C., Turecki, G., Tamminga, C., Russo, S., Mazei-Robison, M. and Nestler, E. J. (2014). Fluoxetine epigenetically alters the CaMKIIalpha promoter in nucleus accumbens to regulate DeltaFosB binding and antidepressant effects. Neuropsychopharmacology 39(5): 1178-1186. Robison, A. J., Vialou, V., Mazei-Robison, M., Feng, J., Kourrich, S., Collins, M., Wee, S., Koob, G., Turecki, G., Neve, R., Thomas, M. and Nestler, E. J. (2013). Behavioral and structural responses to chronic cocaine require a feedforward loop involving DeltaFosB and calcium/calmodulin-dependent protein kinase II in the nucleus accumbens shell. J Neurosci 33(10): 4295-4307. Chaudhury, D., Walsh, J. J., Friedman, A. K., Juarez, B., Ku, S. M., Koo, J. W., Ferguson, D., Tsai, H. C., Pomeranz, L., Christoffel, D. J., Nectow, A. R., Ekstrand, M., Domingos, A., Mazei-Robison, M. S., Mouzon, E., Lobo, M. K., Neve, R. L., Friedman, J. M., Russo, S. J., Deisseroth, K., Nestler, E. J. and Han, M. H. (2013). 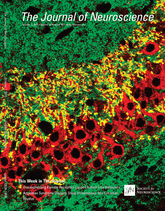 Rapid regulation of depression-related behaviours by control of midbrain dopamine neurons. Nature 493(7433): 532-536. Moritz, A. E., Foster, J. D., Gorentla, B. K., Mazei-Robison, M. S., Yang, J. W., Sitte, H. H., Blakely, R. D. and Vaughan, R. A. (2013). Phosphorylation of dopamine transporter serine 7 modulates cocaine analog binding. J Biol Chem 288(1): 20-32. Koo, J. W., Mazei-Robison, M. S., Chaudhury, D., Juarez, B., LaPlant, Q., Ferguson, D., Feng, J., Sun, H., Scobie, K. N., Damez-Werno, D., Crumiller, M., Ohnishi, Y. N., Ohnishi, Y. H., Mouzon, E., Dietz, D. M., Lobo, M. K., Neve, R. L., Russo, S. J., Han, M. H. and Nestler, E. J. (2012). BDNF is a negative modulator of morphine action. Science 338(6103): 124-128. Vialou, V., Feng, J., Robison, A. J., Ku, S. M., Ferguson, D., Scobie, K. N., Mazei-Robison, M. S., Mouzon, E. and Nestler, E. J. (2012). Serum response factor and cAMP response element binding protein are both required for cocaine induction of DeltaFosB. J Neurosci 32(22): 7577-7584. Dietz, D. M., Sun, H., Lobo, M. K., Cahill, M. E., Chadwick, B., Gao, V., Koo, J. W., Mazei-Robison, M. S., Dias, C., Maze, I., Damez-Werno, D., Dietz, K. C., Scobie, K. N., Ferguson, D., Christoffel, D., Ohnishi, Y., Hodes, G. E., Zheng, Y., Neve, R. L., Hahn, K. M., Russo, S. J. and Nestler, E. J. (2012). Rac1 is essential in cocaine-induced structural plasticity of nucleus accumbens neurons. Nat Neurosci 15(6): 891-896. Sakrikar, D., Mazei-Robison, M. S., Mergy, M. A., Richtand, N. W., Han, Q., Hamilton, P. J., Bowton, E., Galli, A., Veenstra-Vanderweele, J., Gill, M. and Blakely, R. D. (2012). Attention deficit/hyperactivity disorder-derived coding variation in the dopamine transporter disrupts microdomain targeting and trafficking regulation. J Neurosci 32(16): 5385-5397. Wilkinson, M. B., Dias, C., Magida, J., Mazei-Robison, M., Lobo, M., Kennedy, P., Dietz, D., Covington, H., 3rd, Russo, S., Neve, R., Ghose, S., Tamminga, C. and Nestler, E. J. (2011). A novel role of the WNT-dishevelled-GSK3beta signaling cascade in the mouse nucleus accumbens in a social defeat model of depression. J Neurosci 31(25): 9084-9092. Liu, Y., Aragona, B. J., Young, K. A., Dietz, D. M., Kabbaj, M., Mazei-Robison, M., Nestler, E. J. and Wang, Z. (2010). Nucleus accumbens dopamine mediates amphetamine-induced impairment of social bonding in a monogamous rodent species. Proc Natl Acad Sci U S A 107(3): 1217-1222. English, B. A., Hahn, M. K., Gizer, I. R., Mazei-Robison, M., Steele, A., Kurnik, D. M., Stein, M. A., Waldman, I. D. and Blakely, R. D. (2009). Choline transporter gene variation is associated with attention-deficit hyperactivity disorder. J Neurodev Disord 1(4): 252-263. Russo, S. J., Wilkinson, M. B., Mazei-Robison, M. S., Dietz, D. M., Maze, I., Krishnan, V., Renthal, W., Graham, A., Birnbaum, S. G., Green, T. A., Robison, B., Lesselyong, A., Perrotti, L. I., Bolanos, C. A., Kumar, A., Clark, M. S., Neumaier, J. F., Neve, R. L., Bhakar, A. L., Barker, P. A. and Nestler, E. J. (2009). Nuclear factor kappa B signaling regulates neuronal morphology and cocaine reward. J Neurosci 29(11): 3529-3537. Krishnan, V., Han, M. H., Mazei-Robison, M., Iniguez, S. D., Ables, J. L., Vialou, V., Berton, O., Ghose, S., Covington, H. E., 3rd, Wiley, M. D., Henderson, R. P., Neve, R. L., Eisch, A. J., Tamminga, C. A., Russo, S. J., Bolanos, C. A. and Nestler, E. J. (2008). AKT signaling within the ventral tegmental area regulates cellular and behavioral responses to stressful stimuli. Biol Psychiatry 64(8): 691-700. Krishnan, V., Graham, A., Mazei-Robison, M. S., Lagace, D. C., Kim, K. S., Birnbaum, S., Eisch, A. J., Han, P. L., Storm, D. R., Zachariou, V. and Nestler, E. J. (2008). Calcium-sensitive adenylyl cyclases in depression and anxiety: behavioral and biochemical consequences of isoform targeting. Biol Psychiatry 64(4): 336-343. Mazei-Robison, M. S., Bowton, E., Holy, M., Schmudermaier, M., Freissmuth, M., Sitte, H. H., Galli, A. and Blakely, R. D. (2008). Anomalous dopamine release associated with a human dopamine transporter coding variant. J Neurosci 28(28): 7040-7046. Haik, K. L., Shear, D. A., Hargrove, C., Patton, J., Mazei-Robison, M., Sandstrom, M. I. and Dunbar, G. L. (2008). 7-nitroindazole attenuates 6-hydroxydopamine-induced spatial learning deficits and dopamine neuron loss in a presymptomatic animal model of Parkinson's disease. Exp Clin Psychopharmacol 16(2): 178-189. Hahn, M. K., Blackford, J. U., Haman, K., Mazei-Robison, M., English, B. A., Prasad, H. C., Steele, A., Hazelwood, L., Fentress, H. M., Myers, R., Blakely, R. D., Sanders-Bush, E. and Shelton, R. (2008). Multivariate permutation analysis associates multiple polymorphisms with subphenotypes of major depression. Genes Brain Behav 7(4): 487-495. Kim, C. H., Hahn, M. K., Joung, Y., Anderson, S. L., Steele, A. H., Mazei-Robinson, M. S., Gizer, I., Teicher, M. H., Cohen, B. M., Robertson, D., Waldman, I. D., Blakely, R. D. and Kim, K. S. (2006). A polymorphism in the norepinephrine transporter gene alters promoter activity and is associated with attention-deficit hyperactivity disorder. Proc Natl Acad Sci U S A 103(50): 19164-19169. Mazei-Robison, M. S. and Blakely, R. D. (2005). Expression studies of naturally occurring human dopamine transporter variants identifies a novel state of transporter inactivation associated with Val382Ala. Neuropharmacology 49(6): 737-749. Mazei-Robison, M. S., Couch, R. S., Shelton, R. C., Stein, M. A. and Blakely, R. D. (2005). Sequence variation in the human dopamine transporter gene in children with attention deficit hyperactivity disorder. Neuropharmacology 49(6): 724-736. Hahn, M. K., Mazei-Robison, M. S. and Blakely, R. D. (2005). Single nucleotide polymorphisms in the human norepinephrine transporter gene affect expression, trafficking, antidepressant interaction, and protein kinase C regulation. Mol Pharmacol 68(2): 457-466.